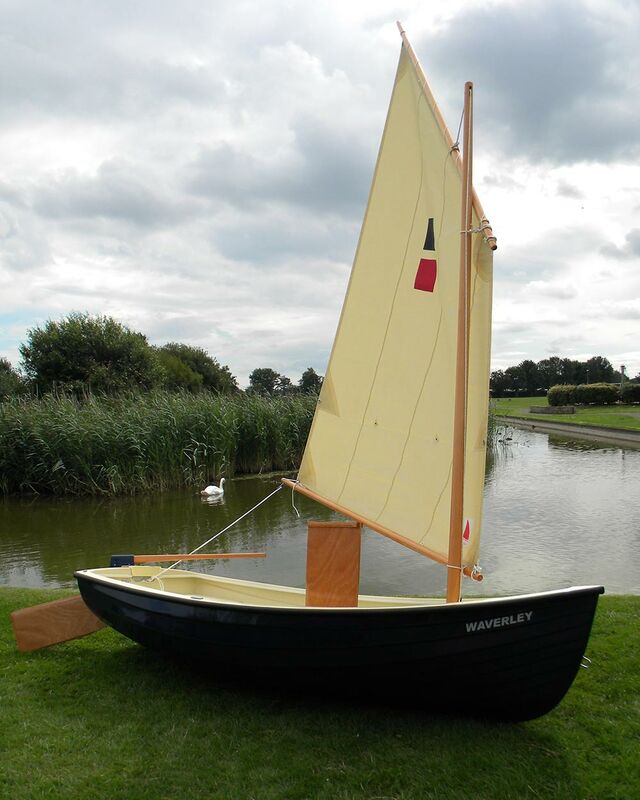 The Waverley Dinghy is a lovely little traditional styled glass fibred dinghy with a simulated clinker finish. 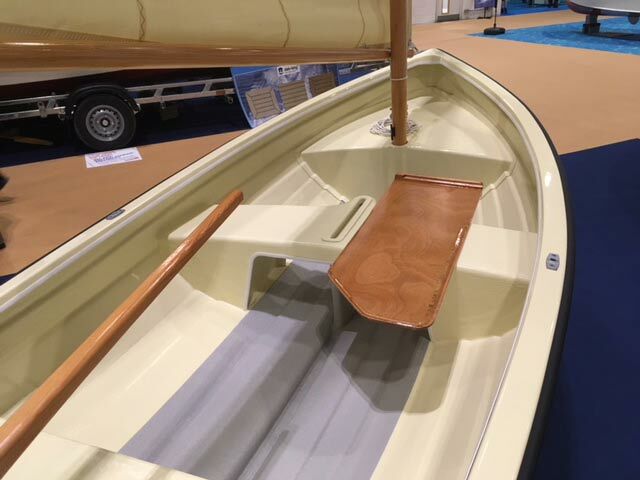 The Waverley Dinghy is a lovely little traditional styled glass fibred dinghy with a simulated clinker finish. 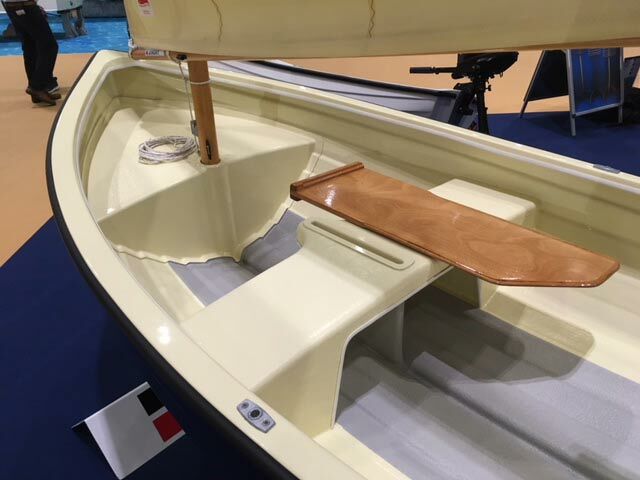 Hand built by the Highlander Boats team using the best of materials and finished to a high standard, this boat caters for customers who want to be able to sail, row and use a small outboard motor when required. With its simple rig and flexible usage this boat is ideal as a first boat, a beach boat, or for general pottering around. It is ideal for kids, adults and silver sailors. The boat can be put on a car roof making it suitable for caravan owners who want to venture afloat. 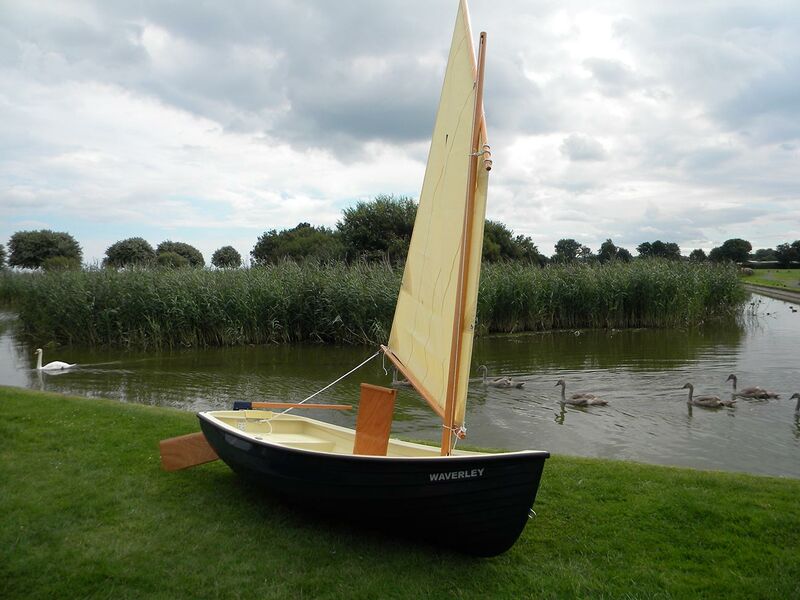 A standing lug sail of 49 sq feet, has a varnished board, a lifting rudder, wooden varnished spars, built in buoyancy, bow, stern, and under the central thwart. A highly effective non-slip floor, and all of the fitting required. An ingenious system allows the rudder fitting to be removed and outboard to be clamped on the transom.